It wasn’t over at Calvary. Jesus died and shed His blood for our salvation. Yes, he was the sacrifice for our sins. But His blood still flows. What does this mean? Over the next few days I will share what I have learned in my walk about the never ending Power of the Blood of Jesus. the destroyer cannot come near. 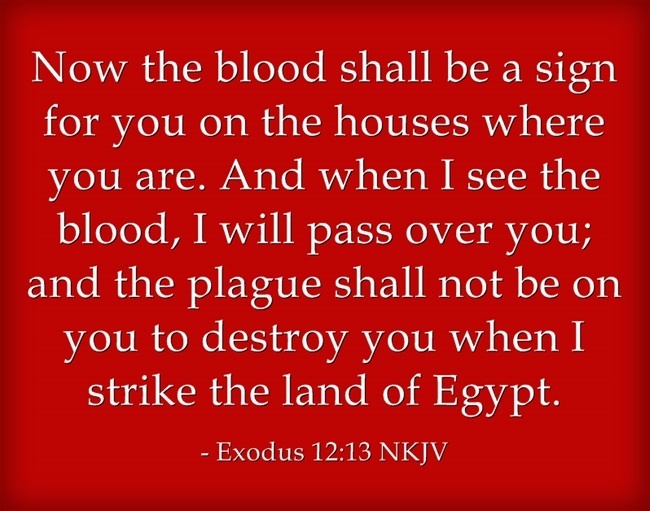 Posted in Spirituality, The Blood of Jesus and tagged Blood of Christ, Blood of Jesus, Deliverance, God, Holy Spirit, Joseph Prince, Lamb of God, Moses, The blood of Jesus. Bookmark the permalink. Beautiful post, Diana. Always remember, because of the Blood, the destroyer passed over your “house”. Hallelujah! Amen. So true! Beautiful post! What we as believers must do is PRAY! The time is now!